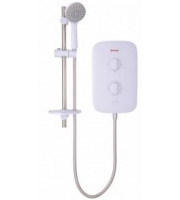 If you are looking to replace a broken shower unit or upgrade to a much faster and powerful wash then you should definitely consider taking a browse through our range of showers. 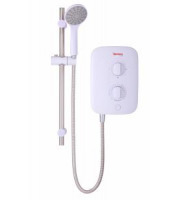 A shower is possibly the most important feature of any bathroom, helping us to wake up in the morning and clean our bodies when we a due a wash. Finding the correct shower for you has just got a whole lot easier because Direct Trade Supplies offers a wide variety of models to suit every need and bathroom style. We sometimes take showering for granted, it is an essential part of our cleaning and washing routine. Yet when we revert to a shower that offers greater power to the previous model we feel so much better. We can offer you some of the best and affordable showers on available on the market, all of which guarantee great washing results, consistent performance and various advanced styles. 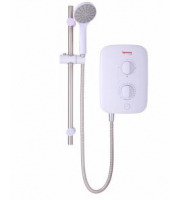 We stock various different showers within our shower range, all our electronic models can give you the perfect wash but some a difference than others. 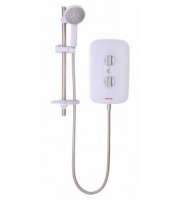 For instance we have Galaxy shower units which offer differing lengths, modes and power capabilities. 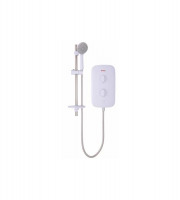 You also have the option to further enhance your showering experience by modifying the spray settings, from soft and sporadic sprays to powerful and fast sprays. All of our showers come complete with easy cleaning and maintenance levels, with rubber nozzles to help prevent lime scale build up. This is an essential feature to keep on top of the cleanliness of the system. It is important to keep the machine that is there to clean you in top working order and as hygienic as possible. Our wide range of showers makes it easy for you to pick the perfect shower for you. 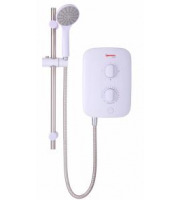 We do not only sell complete shower units, we also stock water heaters that can be integrated in kitchens, commercial wash rooms and under sinks. These water control models by Stiebel Eltron are sleek, sophisticated and stylish, offering a streamline and slick construction that can be adopted in any image conscious home or commercial situation. Whatever your choice you are ensured to be the owner of high quality, robust and consistently performing water and showering units. 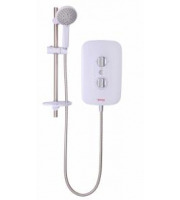 Taking a shower has never been better, with easy installation and maintenance you will not look back. 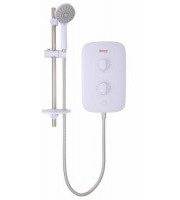 Why not upgrade your rinse using one of our quality shower units.